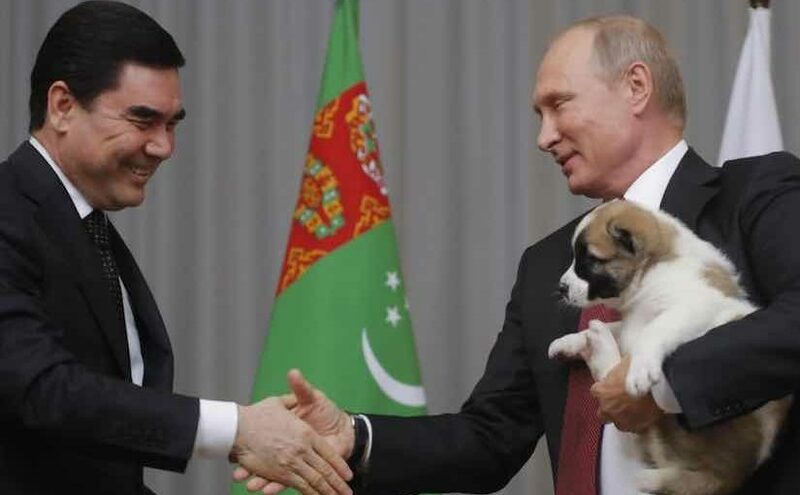 Turkmen Shepherd is a dog breed native to Turkmenistan. This breed is also found in Kyrgyzstan, Tajikistan, Kazakhstan, Afghanistan, Uzbekistan and surrounding countries. These dogs are protective against human intruders. They are territorial, protect all small animals from predators and are very gentle with their family members. 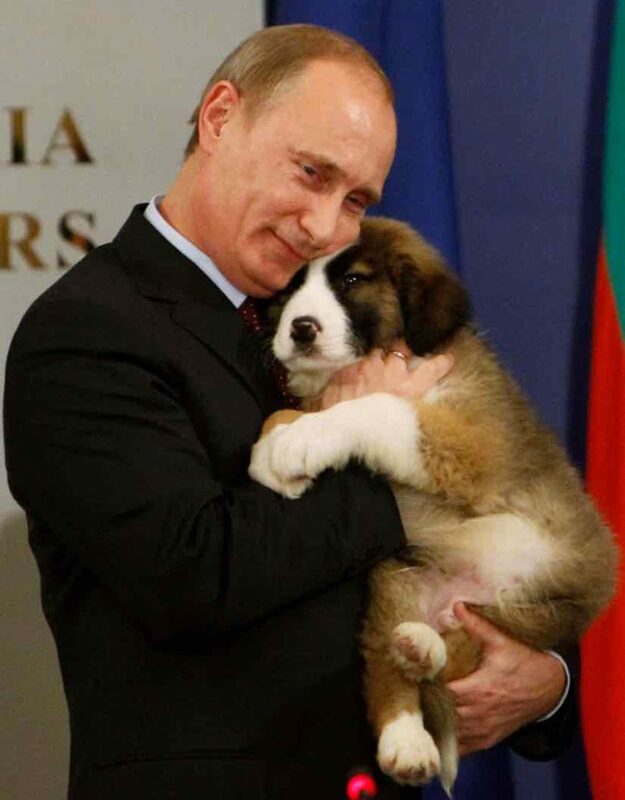 Dog Diplomacy: Russian President Vladimir Putin cuddles a Turkmen Shepherd puppy gifted to him by Turkmenistan leader Gurbanguly Berdimuhamedov during a meeting in Sochi, Russia on 11th October 2017. The Turkmen Shepherd is a working breed of dog. This breed presents a robust dog of greater than average size with great strength and power. Turkmen Shepherds are independent, curious and alert, yet imperturbable. The dog is as long as it is tall at the withers or slightly longer than its height. The hair is short or moderately long with a heavy undercoat. Its ears are, in practice, cropped very short, and the tail is docked moderately long. Most common colors are black/white; fawn of different shades, from almost white to deep red; brindle. Some Turkmen Shepherds have a black mask. 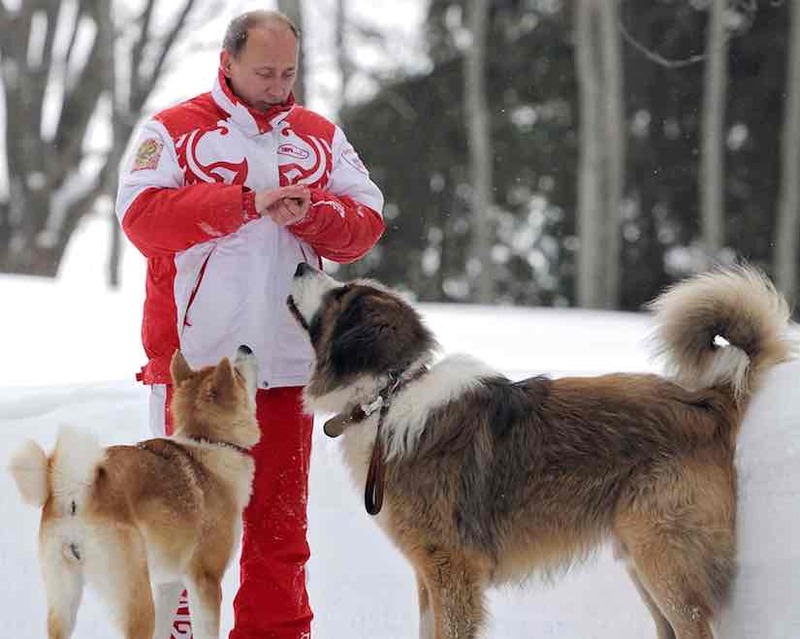 Russian President Vladimir Putin is a dog lover. 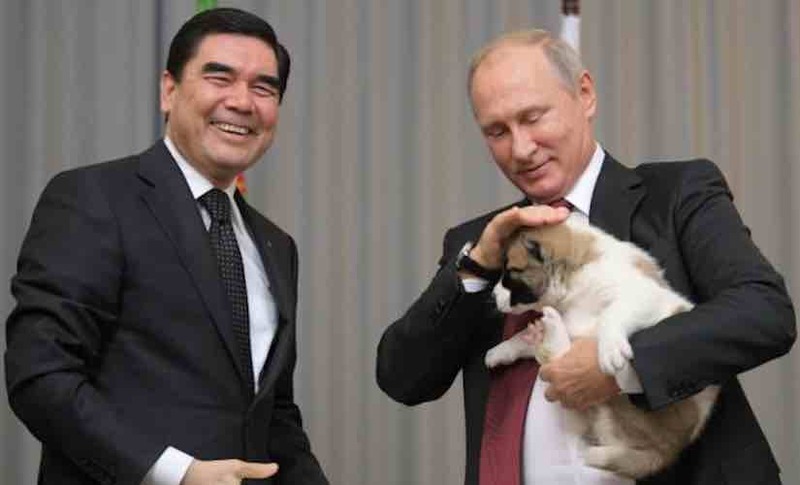 Russian President’s Akita Inu – a Japanese breed famous for its stubbornness – appeared to defy her master’s orders, pulling hard on her lead and snarling grumpily at the camera. 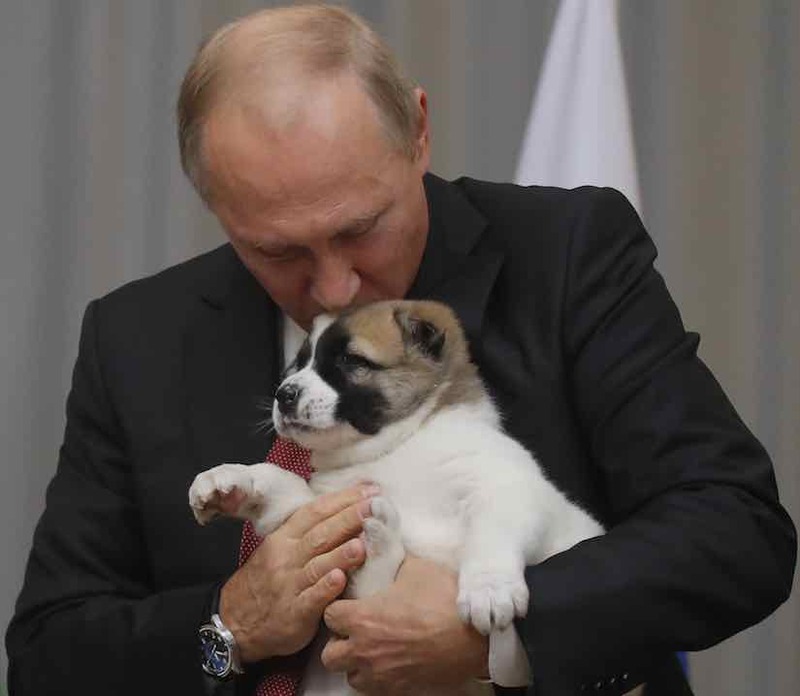 The Akita is named Yume – whose name means ‘dream’ in Japanese and was handed to Putin in gratitude for Russia’s help after the Japanese earthquake and tsunami. 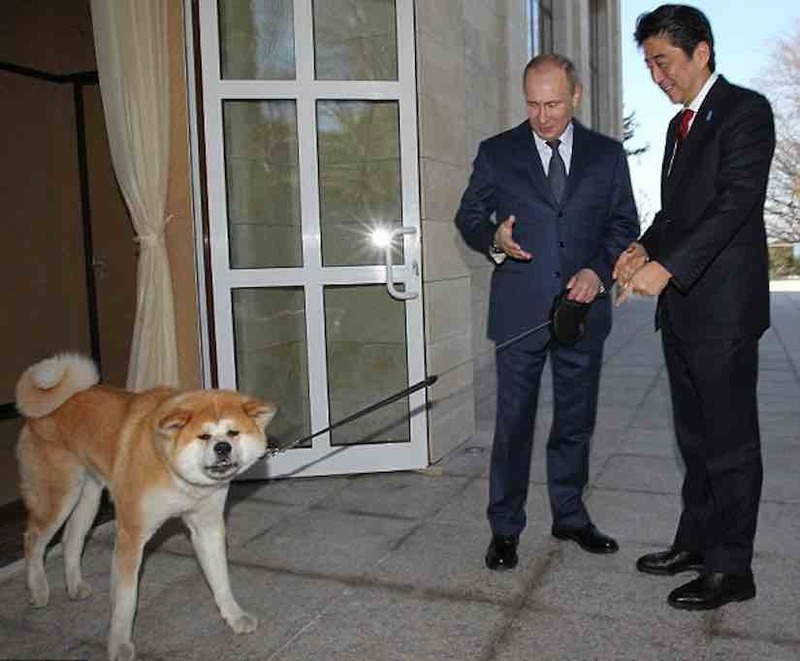 Japanese leader Shinzo Abe stroked Yume and said ‘good dog’ in Russian, to which Putin replied: ‘Yes, but she can bite sometimes! 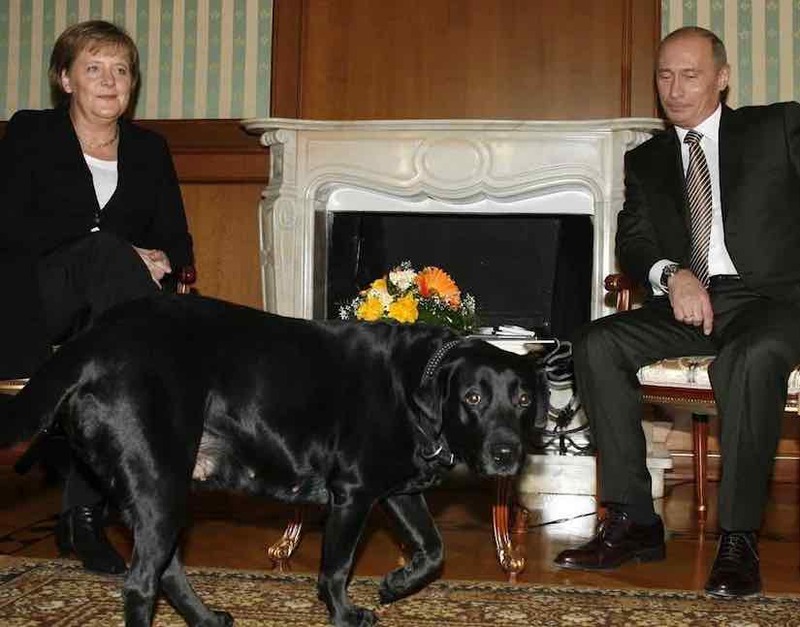 Putin denies using his pet Labrador to intimidate Angela Merkel when they first met because he did not know she had a phobia of dogs! 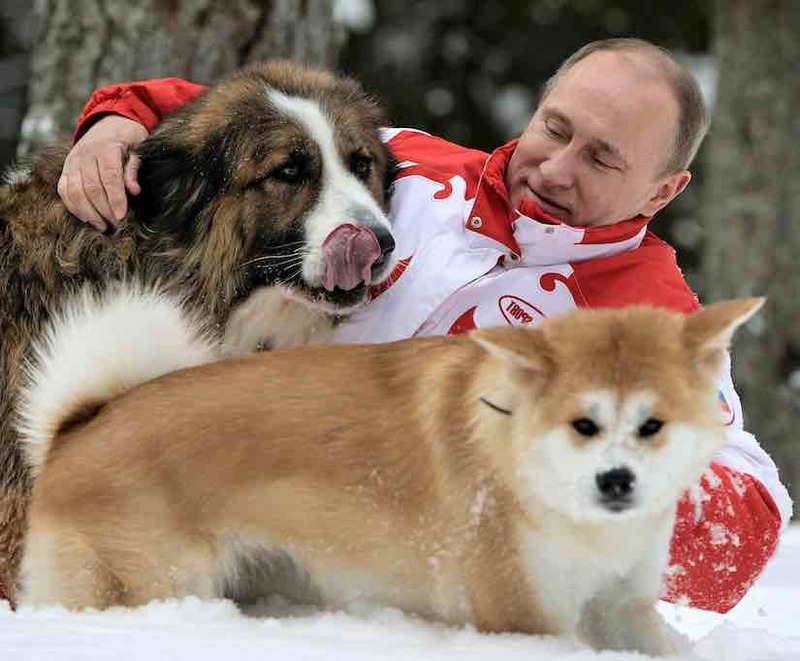 Russian President Vladimir Putin poses for the camera as he plays with his dogs Yume, an Akita Inu, front, and Buffy, a Bulgarian shepherd dog. Previous Previous post: Lesser known Poodle hybrids! Next Next post: Human Puppies – we dress like dogs!